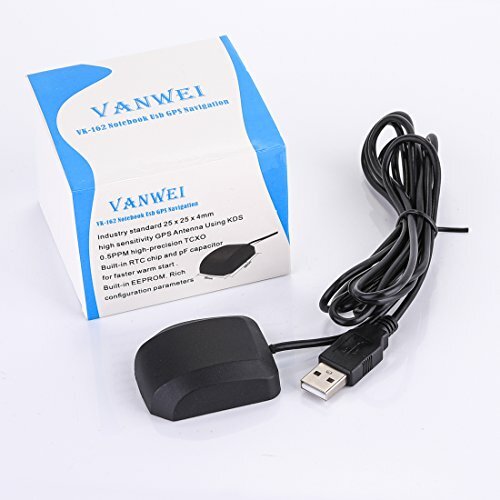 VK-162 is a complete GPS receiver with built-in satellite receiver antenna. The satellite receiver adopts the most advanced UBLOX positioning core, provides highly accurate positioning information, and meets both industrial requirements and personal needs. It can be used for car navigation, security systems, map making, surveys, agricultural uses, etc. It comes with a built-in button-type battery. It stores satellite store information, such as the status of satellite signal, the location and time of the last use, to increase the speed of positioning. Built-in WAAS / EGNOS Demodulator. Receives WAAS / EGNOS signals without any additional hardware. Supports data output of NWEA0183 3.01 version. Support AssistNow Online and AssistNow Offline A-GPS services, etc. If you have any questions about this product by VANWEI, contact us by completing and submitting the form below. If you are looking for a specif part number, please include it with your message.